Drone’s up!! 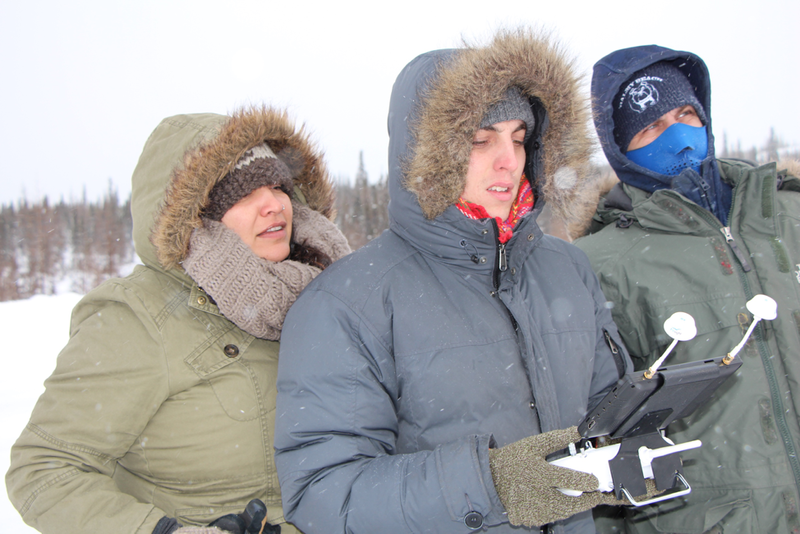 Co-Director Helen Haig-Brown, Director of Photography Shane Belcourt and Drone Operator/Sound Guy Tony Wallace watching and guiding the action. High winds, temperature way below zero. Battery life is limited but the footage is beautiful. I have decided to do updates each week or even more often as the film is moving into the final stages of editing. The narration is in place. There is still room for more B-roll. That refers to all the images that add dimensions to the film and move it beyond the interviews and the narration. These are exciting and scary times as now is the time when worries about how the film will be seen by various people come to mind. Yes, that means, I am worrying. Will the community like it? Find it acceptable? Does the film actually have something to say to people? Is it beautiful? Does it do justice to the many hours of time invested by so many people within the community? Of course, once it gets to near final form and while there is still a chance for changes, I will return to the Steering Committee to get their advice.